The numbers have been crunched and these are the best states to target AAA clients. At least according to credit score; which is an admittedly simplistic criteria. Still, it’s a good baseline to get a sense of credit habits across the country and, as a result, provide a baseline for mortgage qualification trends. LendEDU published a new financial report this week, entitled A Look at the Nation’s Credit Scores by State, which analyzed credit scores across the nation. The purpose was to suss out which states are performing well financially. The ancillary benefit, however, is that it provides a glimpse into mortgage credit-worthiness across the country. According to the report, the national average credit score is 682, which is generally considered a “fair” credit score by the credit bureaus. It also means the average American might have a tough time qualifying for a decent mortgage rate. However, originators in the mid-west have access to clients who may have an easier time qualifying for mortgages than the average American. 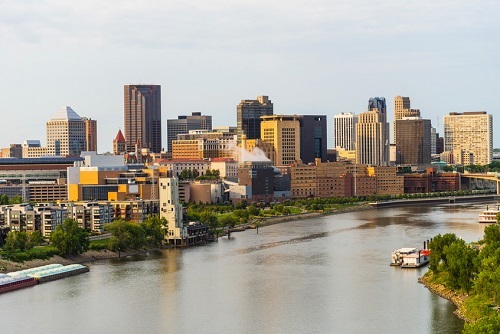 According to the study, Minnesota has the highest average Vantage 3.0 credit score of 722. That’s 7.27% higher than the national average. North Dakota comes in second with an average of 713, followed by; Vermont (713), New Hampshire (712), and South Dakota (711).